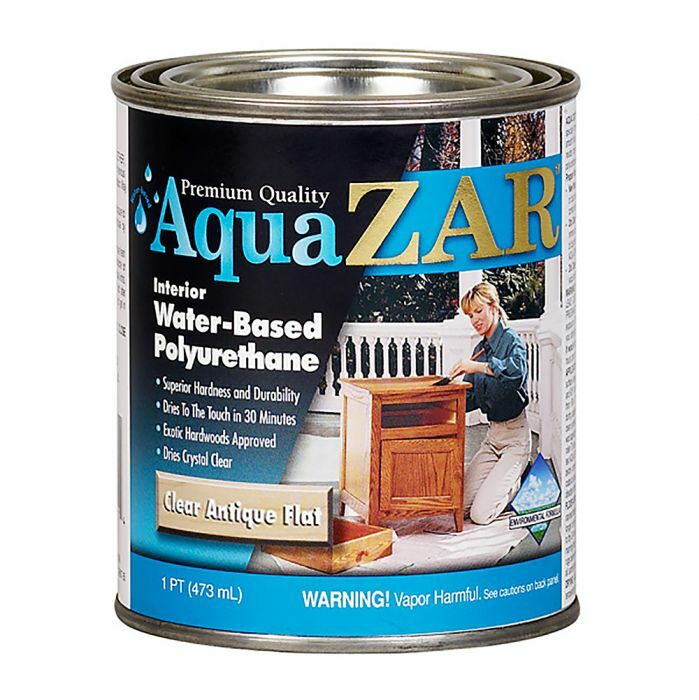 Aqua ZAR® is a non-yellowing, environmentally safe wood finish that dries crystal clear, making it an ideal finish for use over light-colored woods or light stains. It is specially formulated with a full-bodied high film build to protect and beautify cabinets, furniture, wall paneling, woodwork, and floors. It is very low odor and meets all environmental standards for low emission of solvent vapors. Approved for use on teak, Brazilian walnut and other exotic wood species. Complies with all current VOC requirements. Do not apply over wood fillers or finishes containing wax or stearates. Do not use steel wool. Do not thin.